One of the most irritating parts of Fallout 4, an otherwise excellent depiction of Donald Trump’s America, is the new dialogue system. Now there’s a mod for that. 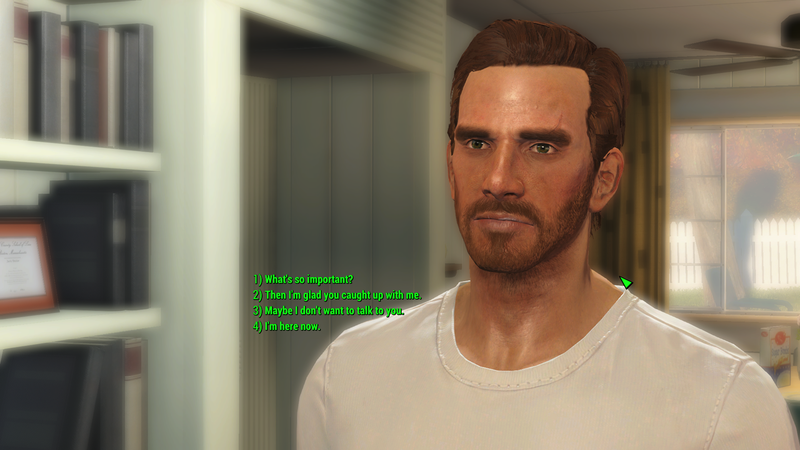 Unlike other Bethesda RPGs, Fallout 4 won’t let you see what your character will say when you’re choosing dialogue. Instead, you get to select one of four keywords like “SARCASM” or “HOLD ON,” then watch as your character delivers a line that may or may not be what you actually wanted to say. It can be very irritating. Well, if you’re playing on PC, there’s a solution. Just a week after the game’s release, modders Shadwar and Cirosan (via Reddit) have built a tool that overhauls the interface and replaces those keywords with actual dialogue lines. Never again will you accidentally make a cringey sarcastic joke because you had no idea what the line would be. Now, you can make cringey sarcastic jokes on purpose. Despite a few irritating flaws like that one, Fallout 4 is a great game. And as the modding community starts really getting to work, it’s going to become even greater.